Committed to diversifying the student community at doctoral level, UCL is launching an ambitious programme that aims to create over 15 new scholarships for black and minority ethnic (BME) postgraduate research students. UCL is delighted to announce the launch of a brand new scholarship programme to support research degree students from BME groups that are currently under-represented at UCL. Data shows that students from some UK BME backgrounds are much less likely to pursue a PhD or consider a career in academia. The UCL Research Opportunity Scholarships programme is the first step to address this issue by providing full financial support and doctoral skill development to successful recipients. Currently, the programme has guaranteed funding for five places to incoming postgraduate students in the next academic year. However, with further support from philanthropic partnerships the programme aims to fund a further five scholarships in each academic year following up to 2021, to support a total of 15 students over the three-year programme. UCL is committed to the ongoing breakdown of barriers to education, including those experienced by BME groups. The university’s BME undergraduate student intake has increased 46% since 2013/14. However, these headline figures hide significant under-representation at post-graduate level. The proportion of white students grows by more than a third whilst the proportion of students from UK Asian and Black backgrounds more than halves. The UCL Research Opportunities Scholarship programme is being implemented as a form of positive action to address this under-representation in the top strata of higher education. However, it also encourages students from BME backgrounds to consider research as a possible career path, inspiring future generations. ““The scholarships were developed in response to compelling data showing the attrition rate of UK-domiciled BME people along the academic pipeline. BME students have reported that financial barriers are a key disadvantage, but that the low proportion of BME academic role models is also a deterring factor from pursuing an academic career. 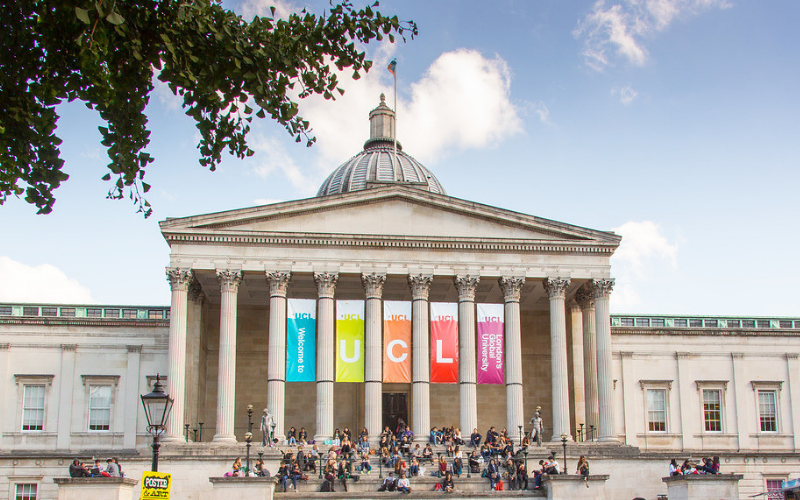 The scholarships will help under-represented groups remain in the pipeline and are also a very visible commitment from UCL that speaks to our founding ethos,” said Fiona McClement, Director of Equality, Diversity & Inclusion. The delivery of the scholarships will be supported by our partner, Windsor Fellowship. UCL's ambition is to ensure that the world’s best and brightest brains can access higher education, whatever their background. Students are a priority for the It’s All Academic Campaign, UCL’s biggest ever philanthropic drive aiming to raise £600 million for far-reaching student support and world-changing research. The UCL Research Opportunities Scholarships programme is just one of the many ongoing recipients of funding from the Campaign. Applications for scholarships in the next academic year are now open for UK domiciled students to apply. Find out eligibility requirements and apply for the scholarship here. Discover how the It’s All Academic Campaign has helped students here. More on Equality, Diversity and Inclusion at UCL. More on the Windsor Fellowship.